Grace Cleaning Services is a family owned business. We provide full service cleaning to the Metro Atlanta area. Our courteous and professional staff is always available to provide your home or office carpet and upholstery with the finest in comprehensive cleaning services. Residential or commercial Grace Cleaning Services has the knowledge, tools, and experience to handle your Carpet Cleaning and fabric's unique demands with affordable prices and consistent quality on every job we perform. We specialize in carpet cleaning. Do you have a stain you think can't be removed from your carpet? Think again! For carpet cleaning that removes soil and stains other cleaners leave behind call 404-399-5759. Non-toxic and environmentally safe cleaners. All of our house cleaners are independent,professional housekeepers who have years of experience cleaning homes of all shapes and sizes. We screen our housekeepers thoroughly and hold them to the highest quality standards, so you can be confident that you will be completely satisfied with the work done. Let Grace Cleaning Services give new life to your furniture. We can clean your sofas, loveseats, chairs and ottomans. Our exclusive cleaning solution and powerful cleaning system gently restores your furniture to a beautiful look and feel you may not have thought possible. 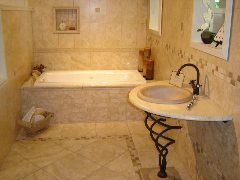 We professionally clean and restore all types of ceramic tile and grouting surfaces including floors, counter tops, vinyl floors and showers/bathroom surfaces. Our professional team can handle bathroom toilet overflows, washing machine overflows, busted pipes, ice machine breaks and any other natural water leaks. Our company can handle big or small water restoration projects. Whether it's one room or a flooded warehouse, we have the expertise to handle your needs with a single phone call.